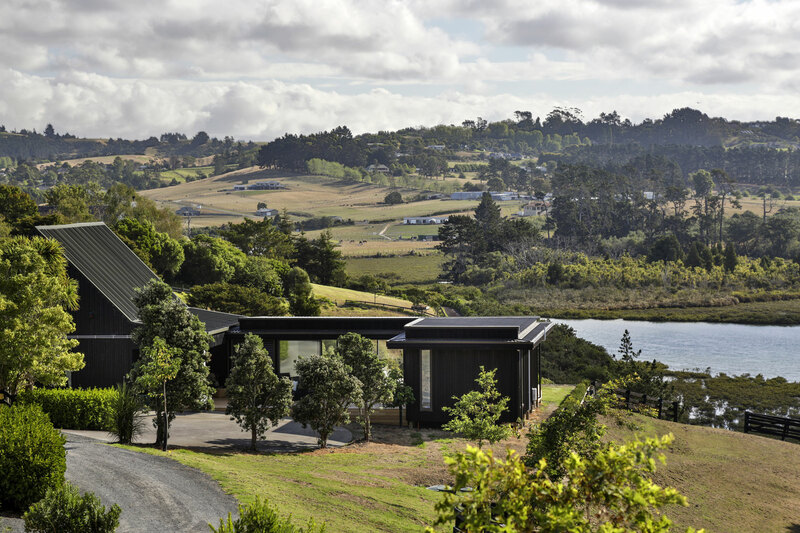 This property in Whitford has an amazing view, but the owners couldn’t enjoy it because their living room faced back up the driveway. 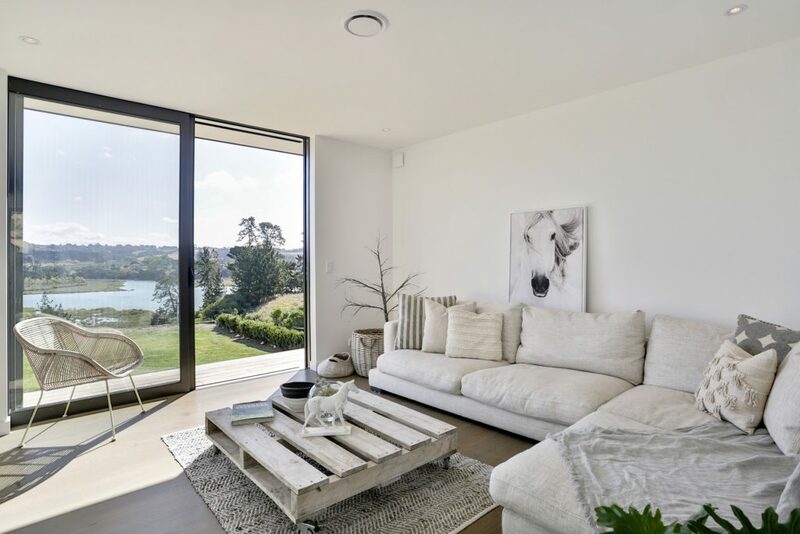 Sure, they could capture a great estuary view from the kitchen sink, but that wasn’t really good enough, says architect Darren Jessop. 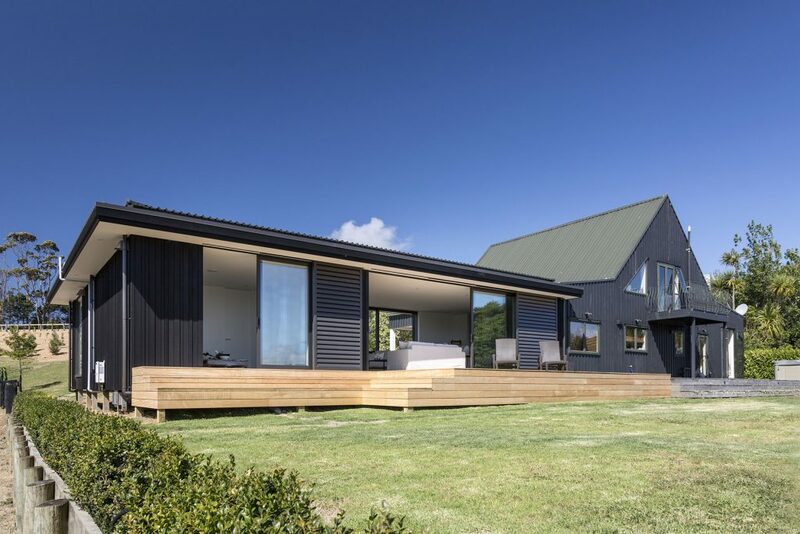 “The owners bought the property, in rural Auckland, as an escape from the city. 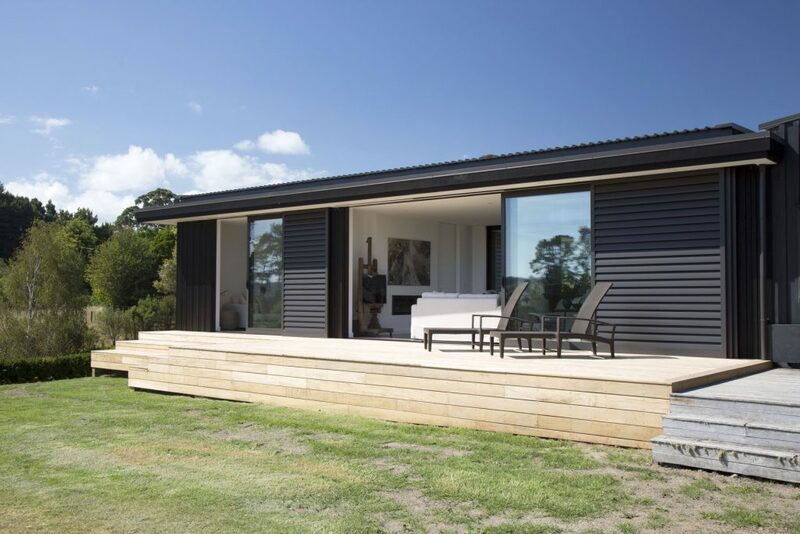 And while the existing three-bedroom barn-style house sat well in the landscape, it was not an ideal configuration. 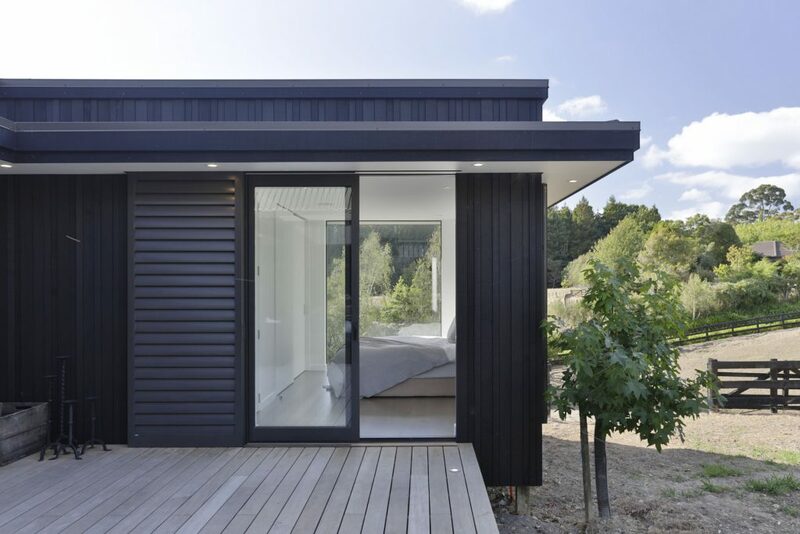 The solution from Jessop Architects was to design a double-glazed extension, with an annex that incorporates passive house technology. 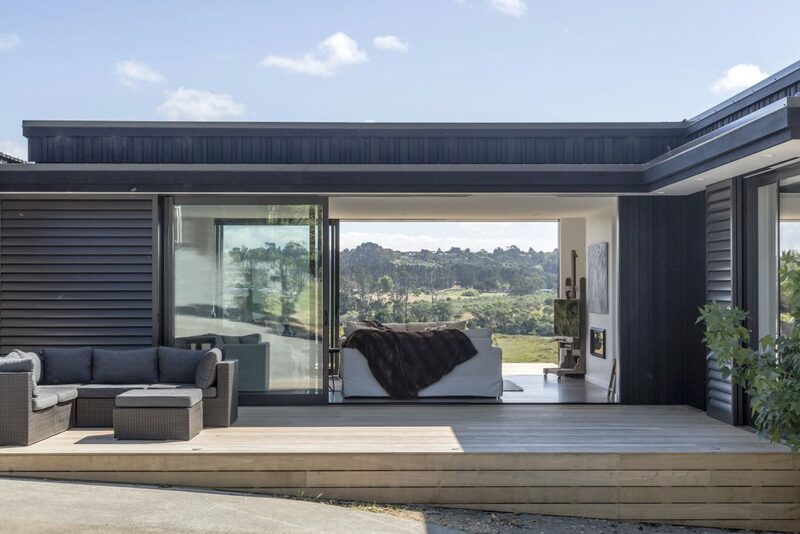 And while it seems strange to think a glass-walled room could be used to heat the entire ground floor of the house itself, that is what happens here. 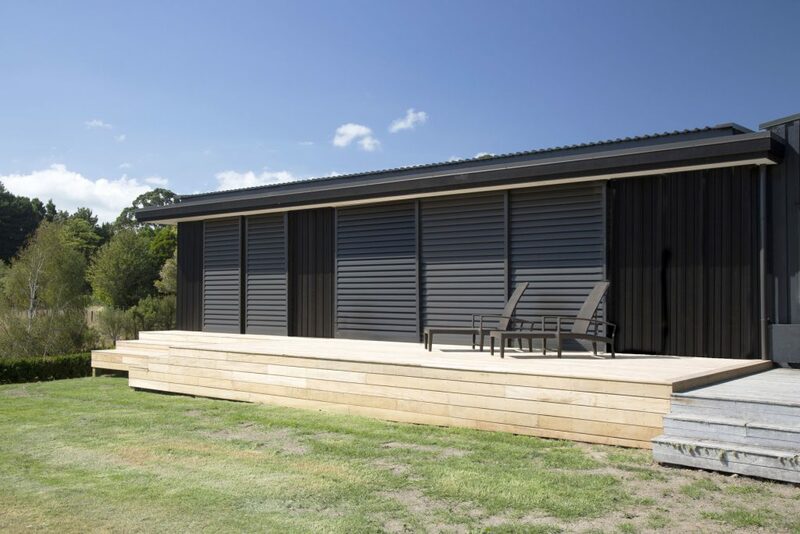 Jessop says the annex utilises the Crib module from the firm’s CoolHouse range of fully passive homes. This is connected to the house with the glass living pavilion. But that is not too much of a problem. With glazing on the east and west, the linking glass living pavilion captures the heat from the afternoon sun. It also holds the heat from a woodburning fireplace. “When the internal doors are open, the warm air circulates back to the main house, heating the rooms on the lower level,” says Jessop. In keeping with the design of legendary US architect Philip Johnson’s glass house, the integrated external soffit is the same height as the internal ceiling, giving a seamless line between inside and out. It also contains a series of recessed downlights for mood lighting in the evening. 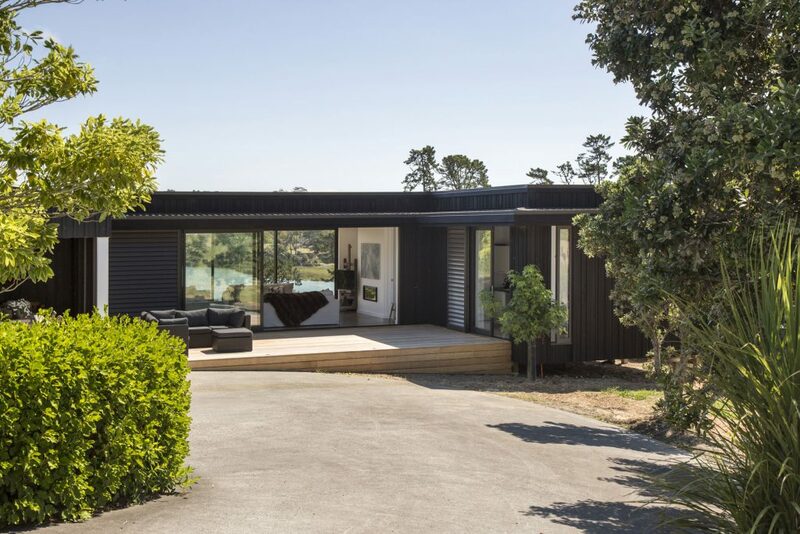 Jessop says the new addition complements the existing structure visually, and the owners love the fact you can see the water through the pavilion as you come down the drive.